The story for the week begins with sustained East winds and stable weather. Thursday was the 9th day in a row with some version of East wind. 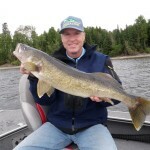 The bass fishing really wasn’t affected by the wind direction, but the walleyes stacked up in areas where the wind blew into for an extended period of time. 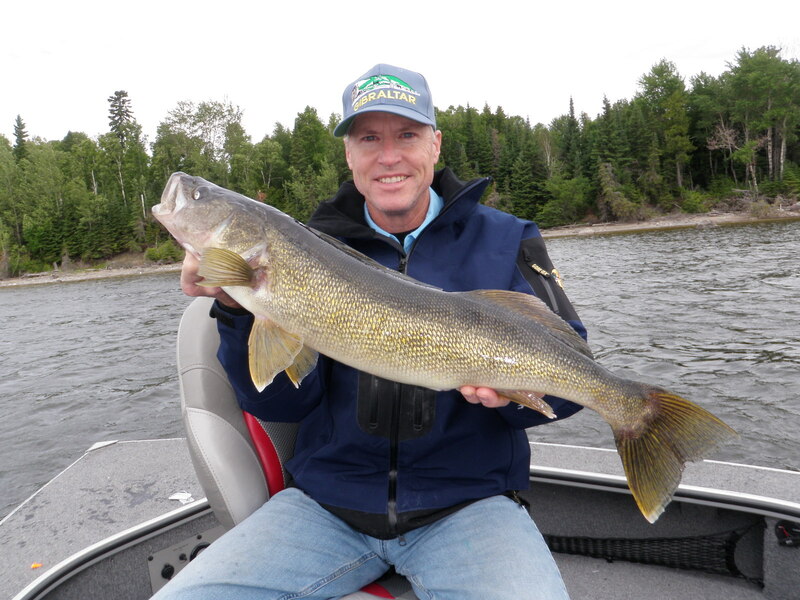 The surprise for the week was that we caught big walleyes from all of our good East wind spots. 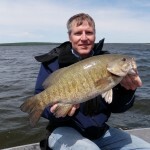 There were hundreds of walleyes caught in shallow water spring bays, lots of walleyes caught from 10 – 15 on transition spots, and even some very good catches on traditional summer spots in 20 -30 ft. of water. The bottom line is that the prolonged East wind was so significant that all of our East winds spots turned good fish despite what the calendar says should be working. 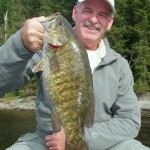 The Kendal Hartley / Mark Bailey group missed the smallmouth bass season in 2010, but they made up for it with a vengeance in 2011. If last week was “silly”, then this week was ridiculous. Bass fishing was awesome. 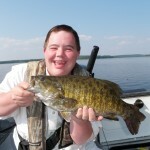 For the week we had 430 bass over 17 in., including 174 over 18, 45 at 19 or over, and 3 over 20 in. I knew I was going to be out of Master Angler pins and I made a deal with this group to send them out later in order to save a few for the next week. Tubes were by far the most productive presentation. A trick I learned a few years ago from this group is that you can get away with heavier pound test line than you can with fussy walleyes. With 14 – 20 lb. test mono, you can pop a snagged tube out of the rocks without having to drive the boat into shallow water and disrupt a spot. It is a simple change, but it is one that can improve your big bass catch rate by two fold or more. 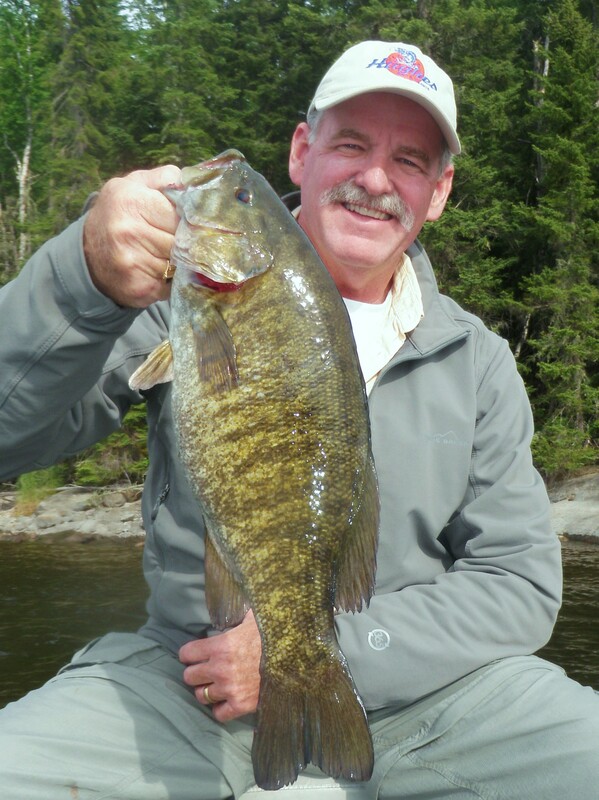 Many guides spent most of their time chasing smallmouth this past week. Despite a significant change in the amount of time spent fishing for big walleyes, it was still an excellent week. 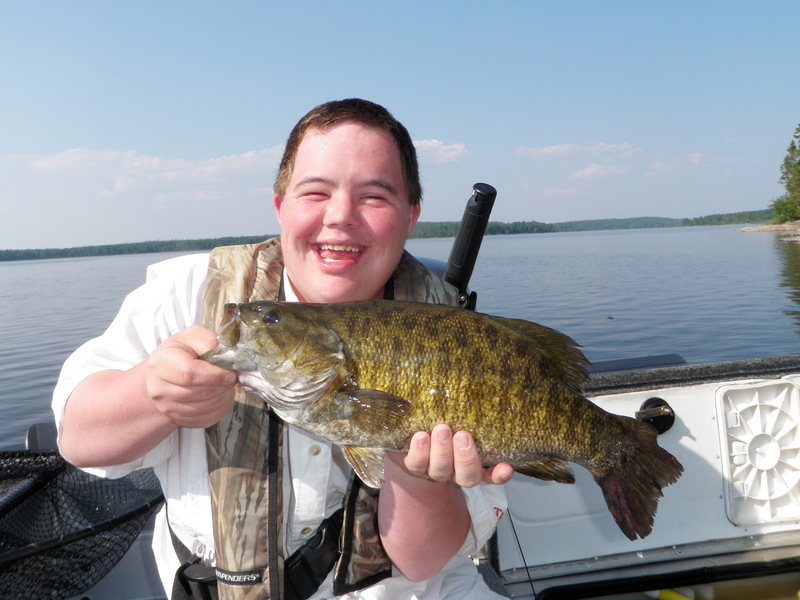 We caught and released 38 walleyes over 27 in., including 9 – 28s. 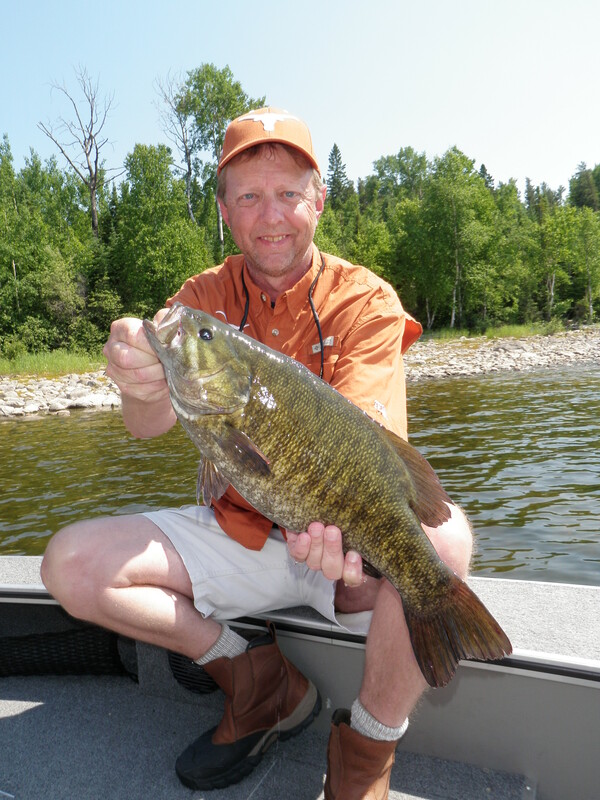 We did not catch any super giants, but production all the way up to 28 in. was consistently strong. 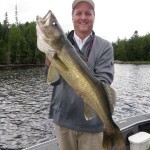 Walleye volume was also very good with an average of 40 over 18 in. per boat per day. The guides used very diverse strategies to take advantage of the prolonged East winds. 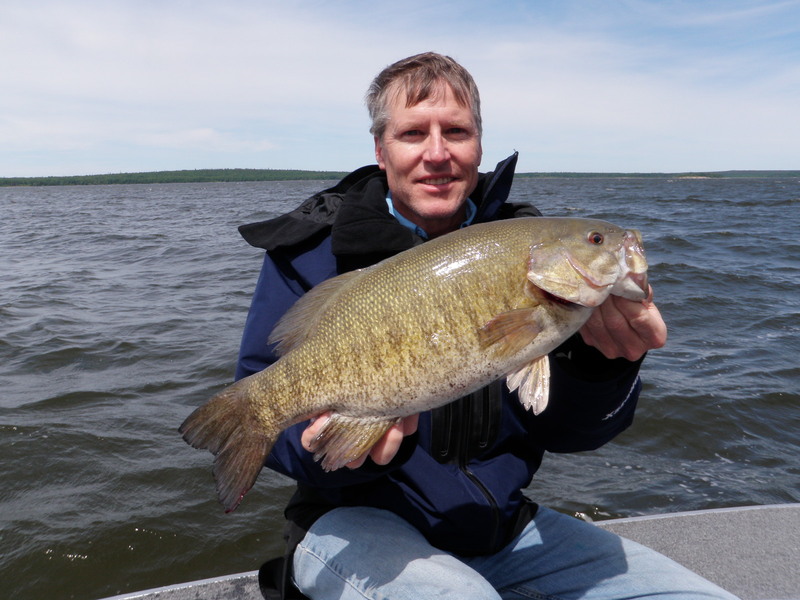 Some worked the shallow side of main lake summer spots, others were way back in 4 – 8 ft. of water in typical spring spots, and many were fishing traditional East wind transition locations. 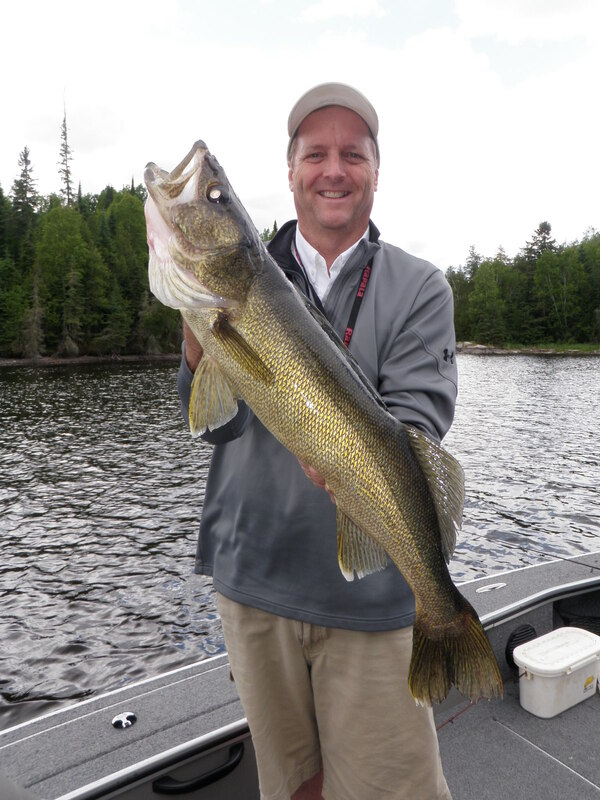 There were actually just as many walleyes caught on big jigs and Gulp Alive plastics as there were caught on 1/8 oz. jigs tipped with minnows. Consistent production required versatility. 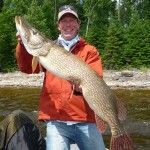 We did have a few groups hunt big pike hard this past week and the production was not very consistent. 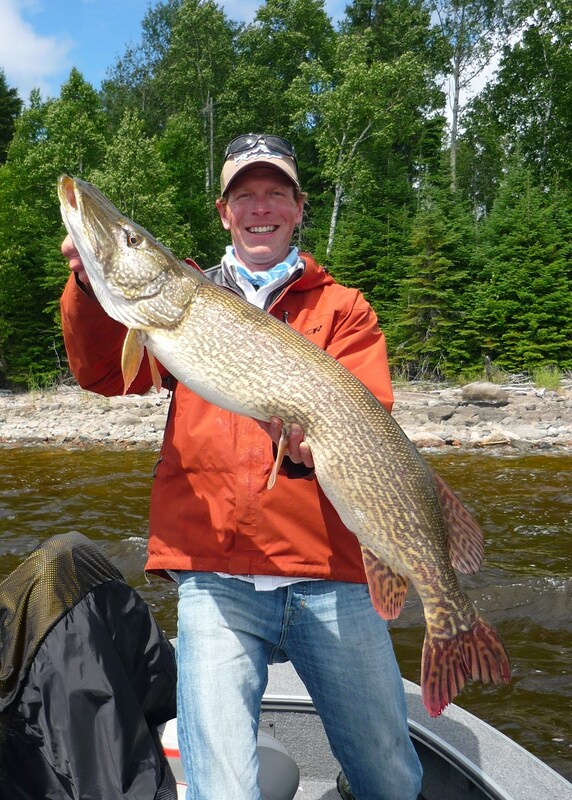 Especially early in the week, it felt like many of the bigger pike were deep and out of range of conventional casting gear. The bite did pick up with increased sunshine and improved towards the end. For the week we had 12 over 37 in. , including 3- 39s, 1 – 40, 1 – 41, 1 – 42, and 1 – 43. The weed beds in the warmer bays are up and the weeds on the main lake are getting close.